If your business requires you to drive from place to place in a van or commercial vehicle, you need to look after it so that it can look after you. Whether you’re delivering goods or delivering a service to people’s homes and businesses, your van is an essential tool for the continued success of your business. If your van is going to covering miles of ground delivering goods or driving you and your workmates back and forth to jobs, you need to make sure there are no surprises on the horizon, such as faulty equipment and breakdowns. These can’t be helpedin a number ofcases, but tokeep the chances of it happening to you to an absolute minimum, you should seek to have your vehicle serviced on a regular basis. According to the RAC, this should be every six months, but the general rule of thumb is every 12,000 miles. The more modern your van is, the more likely it is that it will inform you of the need for a servicewith some form of light on your dashboard, but it’s worth adding a reminder in your diary for every six months to be on the safe side. Another way to look after your van is to record the mileage for every job, particularly if you are using your van for deliveries. If you know how far your trips are going to be, you can fuel up beforehand, and keep track of the usage so that the van isn’t being used for unnecessary trips that will cause more wear and tear on the wheels and the engine, and speed up the need for repairs and servicing. The majority of new vans will have GPS built in so that you can plan your journeys and navigate the risk of getting lost and causing delays to your journeys and extra wear and tear to your vehicle. If you have an older model, purchasing a GPS is a must-buy piece of kit. When it comes to your van itself, there are a number ofgreat tools that can help you keep tabs on the general welfare of your vehicle. One of these is wheel nut indicators. You don’t want a blow-out or to lose a wheel when you’re out on the road. Therefore, you should look to get the safest wheel nut indicator in the world and be safe in the knowledge that any issues with your wheel nuts coming loose will be flagged to you, in the form of damage to the indicators. 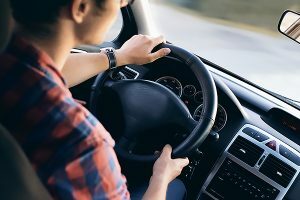 It can help you prevent wheel detachment, and stop you losing your wheels, which can be devastating and could potentially cause accidents if it were to happen on the open road. It seems obvious, but so many vehicle owners simplydon’t look after their property, and it leads to more trouble than it’s worth, usually in the form of breakdown costs and paying out to have parts fixed andchanged. Keep your vehicle clean, inside, outside and underneath, as much as possible, and get into a routine and ensuring that your vehicle is in tip-top condition regardless of the weather. Treat your van to a professional valet once in a while, and if you have staff who will be using the van, make sure they appreciate the importance of cleanliness and taking care of the vehicleso that no issues should arise as a result of dirt and grime.